It was time for employee day celebrations at office and I was participating in the fashion show. Our sector theme for the fashion show was Africa. Africa is all about bright shades and vibrant colors that literally scream. So my outfit was an orange one and my colleague who was in charge of the entire show asked me to team my outfit with an orange lip color. I was skeptical at first because I never thought I am an orange lipstick kind of person but I had to give it a try. I went to the store and started trying few orange shade lipsticks. None of the them created the effect I was looking for. At least not until I reached the Maybelline counter. This is where I was introduced to Maybelline Color Sensational Bold Matte range. The shades were very inviting and I fell in love with all of them even before trying them. 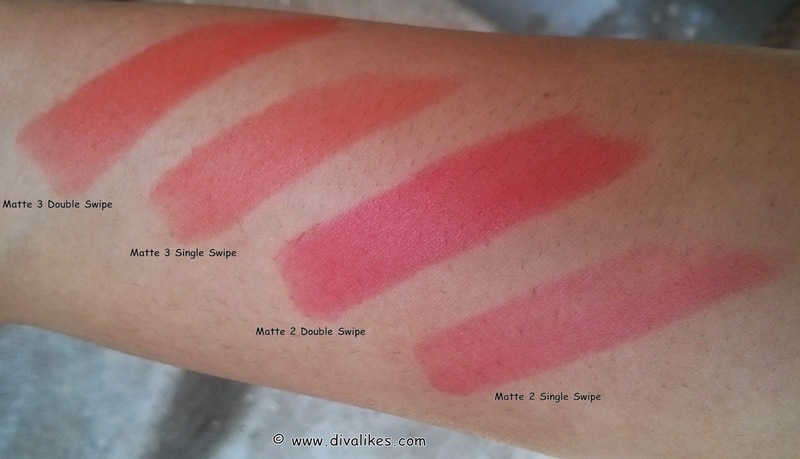 I ended up buying not just one but two shades from this range – MAT 2 and 3. Get sensational lips with Maybelline's Bold Matte by Color Sensational Lip Colors. Offering five trendy shades in a brilliant matte texture, these lip colors look and feel great on your lips. • Enriched with rosa canina oil and jojoba oil for moisturizing effect. • Contains honey nectar which has a hydrating effect. • Had powderless matte pigments for attractive, vivid shades. 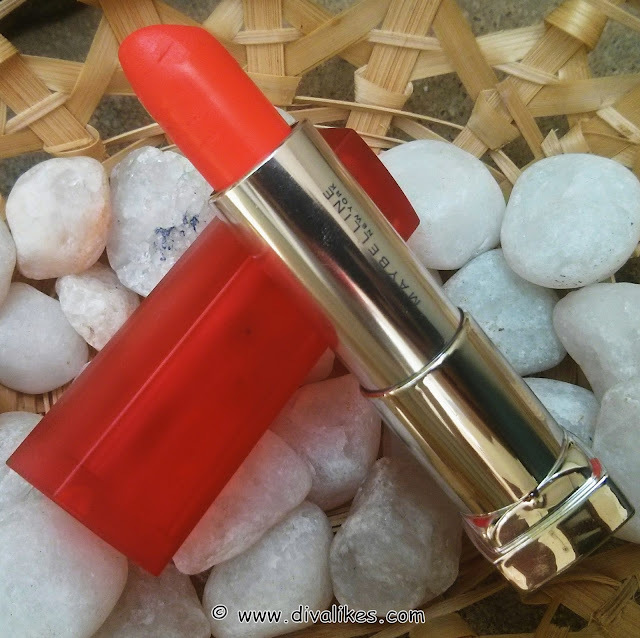 Maybelline Color Sensational Bold Matte Lipstick comes in a translucent plastic case with a reddish pink top which makes a click sound when closed. The packaging looks very attractive but is not very sturdy. Now coming to the two shades I purchased which are MAT 2 and MAT 3. 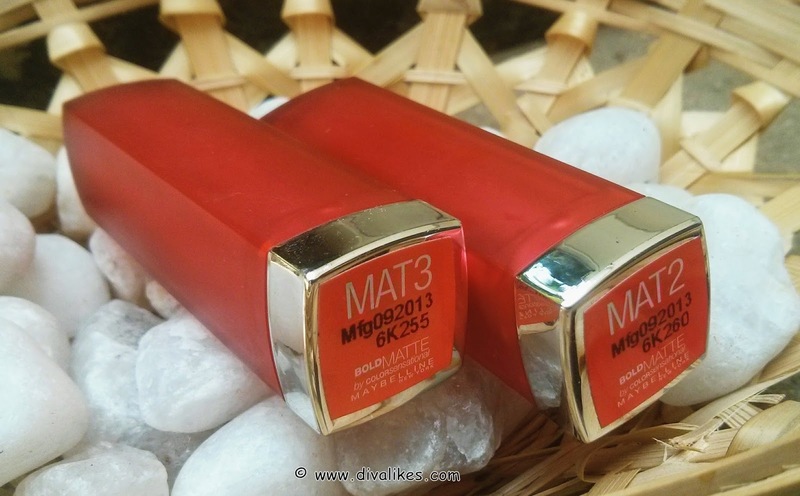 MAT 2 is an orangish pink shade with neon undertones(slightly coral) and MAT 3 is a bright orange shade. Apart from these two shades there are three other shades, giving us five bold shades to choose from. Both the shades MAT 2 and MAT 3 are non-traditional but very eye-catching. It does not give you the opaque look you will need with just one swipe. It requires more than one swipe for full coverage. But then those few swipes can cover up even the most pigmented lips. The major issue with matte lipsticks in general is that it dries out the lips and Maybelline Bold Matte is no exception to this. Just within a short span of 20 minutes your lips feel extremely dry and start getting flaky. So the only way to avoid that is to top it up with some gloss or use a lip balm prior to the application of the product. It also settles between the lines which is not a good thing. 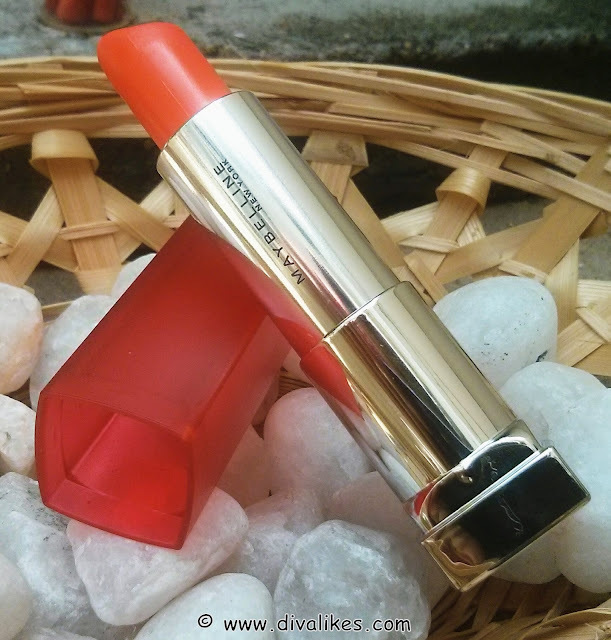 Though the lipstick causes dryness, it stays on for 3-4 hours without re-application. Even after the actual color disappears the tint decides to stick on for a few hours after that. I really loved the two shades I purchased but I wouldn't call it a great product as it lacks in fulfilling its claims. It does provide beautiful pigmentation which is attractive and vivid but absolutely no moisturizing effect like it claims. The only reason I would recommend this product is to try the unique shades from this range.